We’d love your help. 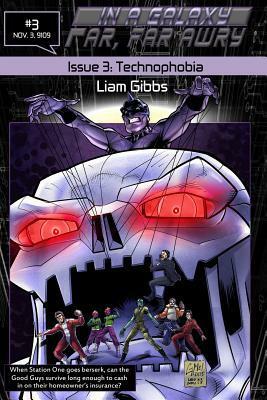 Let us know what’s wrong with this preview of In a Galaxy Far, Far AwRy book 3 by Liam Gibbs. When Scapegoat and Multipurpose install Asinine's new Haunt-Control Control, it wreaks havoc: public-access lyrics to the tune of disco beat Master Asinine has a new scheme up his pants: take control of the Good Guys' space station by usurping its controlling software, the haunt control. His method of attack? The word-jumbling Scapegoat and the buffet-bingeing Multipurpose. When Scapegoat and Multipurpose install Asinine's new Haunt-Control Control, it wreaks havoc: public-access lyrics to the tune of disco beats. Oh, and attempted murder. Now Good Guys Ace Spandex and Smithereens must find a way to shut it down. To ask other readers questions about In a Galaxy Far, Far AwRy book 3, please sign up.